This year – 2019 – we are celebrating 40 years of better business together while having our sights set on the future and our target of three million employee owners by 2030. 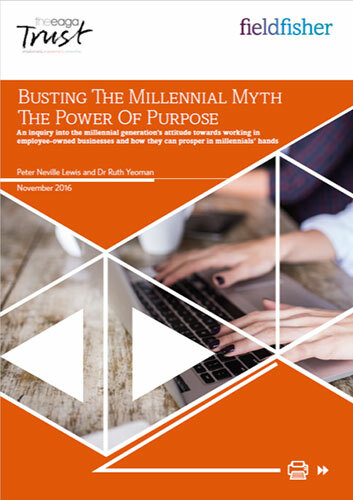 As well as looking back at the foundations of the EOA and celebrating our successes, once again we will use the stories of the brilliantly successful and diverse businesses from our membership that are prospering as a result of transitioning to employee ownership to campaign for more employee ownership in the UK economy with key influencers. 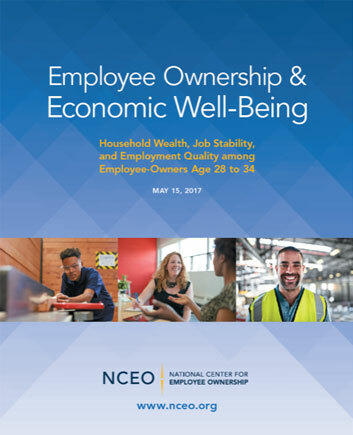 We will be collecting and showcasing 40 voices of employee ownership and 40 EOA facts to build a timeline of key achievements. You can be part of this – get in touch before the end of March if you have a fact or voice to share for quarter 2. The EOA was established in 1979 by English journalist, economist and social reformer Robert Oakeshott. Robert (pictured) lived an adventurous life which saw him complete national service in Malaya, study Classics at Oxford, be named a hero of the Hungarian Revolution, being a journalist for the Financial Times, a government advisor in Zambia, founding a school in Botswana and standing for election as an MP before beginning his focus on worker cooperatives and employee ownership. When Robert returned to the UK in 1973 he was the driving force in launching Sunderlandia, a builders’ co-operative in Sunderland. After this he studied worker cooperatives and employee owned businesses including Mondragón, the large co-operative complex in the Basque region of Spain which lead to him authoring two books ‘The Case for Workers’ Cooperatives’ and ‘Jobs and Fairness: The Logic and Experience of Employee Ownership’. In 1979, Oakeshott founded Job Ownership Limited (JOL), a consultancy to advise on industrial co-ops and conversion to the employee-owned model. In its early life JOL was supported by the John Lewis Partnership and Scott Bader as well as those who Robert advised and supported to become employee owned including Scottish papermaker Tullis Russell and Baxi Heating, (now Baxendale) the domestic boiler manufacturer employing 1,200 people near Preston, which converted to an employee benefit trust. Robert Oakeshott retired in 1999 at which point JOL became a membership organisation and subsequently became the Employee Ownership Association in 2006 – by 2015 it had 200 members and has since grown to over 350 members from across the UK. Robert continued to be involved in employee ownership in the UK and beyond until his death age 77 in 2011. 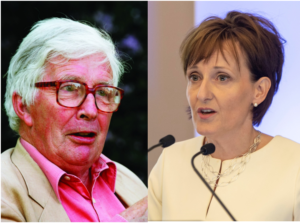 Since 2012 the EOA has held an annual Robert Oakeshott Lecture in his memory. In the years since the EOA has seven further Chief Executives including Patrick Burns, Iain Hasdell and today it is led by Deb Oxley OBE (pictured). In 2017 Deb led the largest UK independent, national inquiry into employee ownership which involved a panel of over 20 UK business organisations. The findings and recommendations of the inquiry launched in the Ownership Dividend report in June 2018 with a plan to roll out its actions in 2019. Actions from the Nuttall Review 2012, led by EOA member Graeme Nuttall OBE of Fieldfisher, have helped to grow the sector. We will connect with you through networks and events, ask you to campaign with us and celebrate employee ownership and work with you to champion your employee ownership story or expertise. 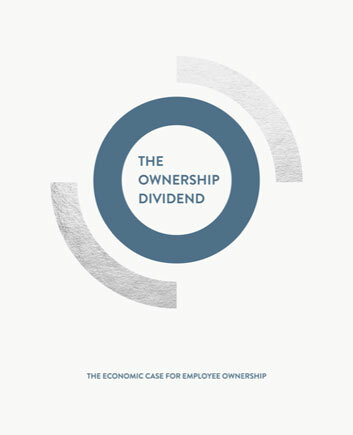 UK June 2018 – The evidence and recommendations of the Ownership Effect Inquiry – a panel of UK business leaders and industry experts, which heard and examined evidence from 100+ employee owned businesses and advisors, concluded there is a significant and valuable Ownership Dividend to be gained from more employee ownership in the UK economy.